Two winters ago, I travelled to Hardangervidda National Park in Norway to brush up on my polar travel skills in preparation for sledding across Lake Baikal. A British polar guide called Carl Alvey, who lives and works in the region, helped organize logistics for my solo trip across this wild Norwegian plateau. 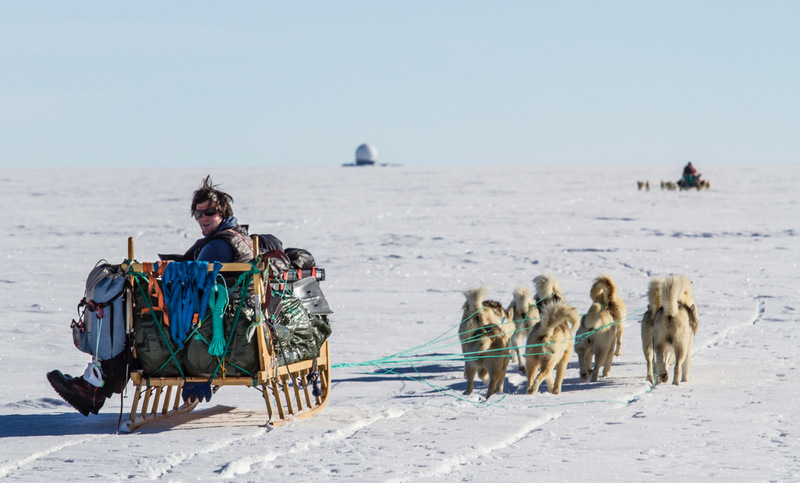 During those days, I learned not only about my own capabilities but how Carl makes his living as a polar guide. And I listened to his many adventurous stories, from living under a bridge in Chamonix, to climbing 4000’ers across the Alps and teaching Leo Houlding how to kite ski. 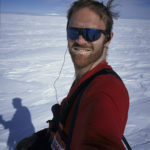 Wanting to know a little more about how a Briton can find himself guiding clients in the Antarctic, I caught up again with Carl for a few quick questions. ExWeb: Can you tell us a little about yourself? I grew up in Mansfield, in Nottinghamshire. You might not know where Mansfield is, but most people will know Nottingham because of its association with legendary outlaw Robin Hood. From a young age, I was always looking for adventure. But if I was to trace a starting point, I think it began with a school trip to the Peak District National Park. After that, I started to go to a local adventure club near where I lived at the time. We would go kayaking two evenings every week in the summer. After doing my A-Levels, I realized that drier subjects were not for me, so I went to study Outdoor Education at West Nottinghamshire College. It let me get certified in rock climbing, kayaking etc. I then started seasonal work with Outward Bound. My wife’s family own the hotel where we live on the edge of the Hardangervidda plateau. We met down south in Antarctica while working for ALE (Antarctic Logistics and Expeditions). 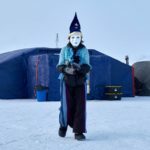 ExWeb: How did you get into polar expeditions? This goes back to my college days at West Nottinghamshire. Our lead lecturer thought it would be a good idea to try and ski to the South Pole! 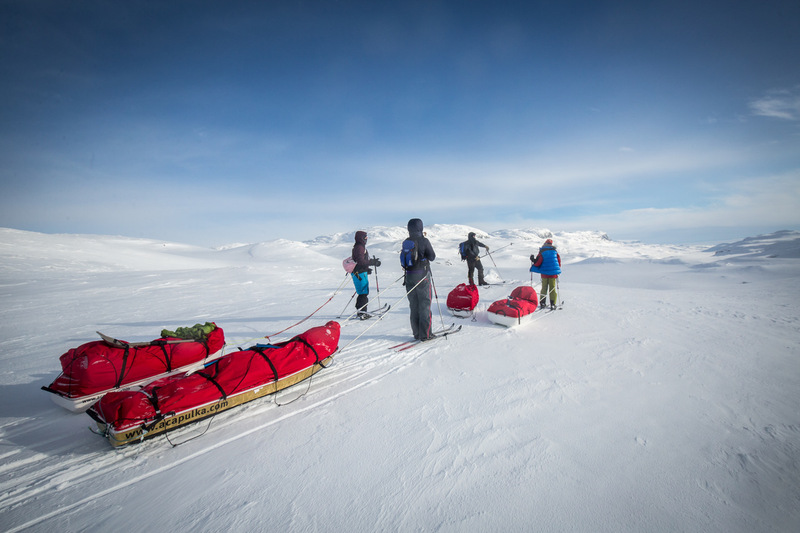 We had a series of training trips here in Norway and then Greenland, which resulted in four of us skiing the last degree to the South Pole in 2004. ExWeb: How did you make the transition from novice to guide? I think I got lucky. I really enjoyed the skiing and the cold weather trips compared to some of the other outdoor sports I was involved in. One of the team members from the last-degree trip had set up a UK expedition company and won a contract with the Fuchs Foundation to take teachers on an expedition to Antarctica. He asked me to lead that trip, which I did. The season after that, I managed to get a job with ALE as an operations assistant, and that led to guiding Greenland ice-cap crossings. ExWeb: How do you train in the off-season? I am now lucky that I live in Haugastøl, Norway, where we have snow for seven months a year, so I get plenty of time skiing and kiting. In winter, the Hardangervidda plateau has conditions very similar to those found in the polar regions. It was the preferred training ground for explorers like Amundsen and Shackleton. 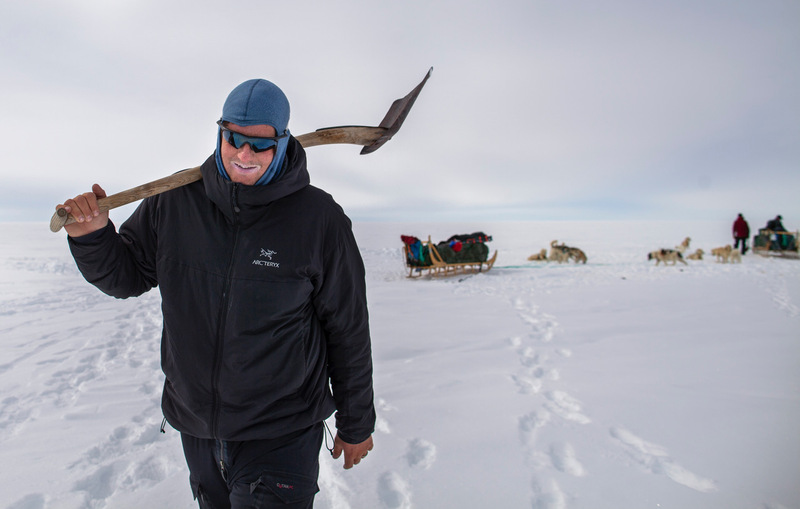 Nowadays, modern polar travelers, such as Paul Landry, come here to guide up on the plateau. It’s probably the best place in the world for snow kiting. In summer I get in as many miles as possible on my road bike. It works some of the same muscles as sled hauling. ExWeb: What’s the best trip you’ve guided? Two, in particular, stick out. 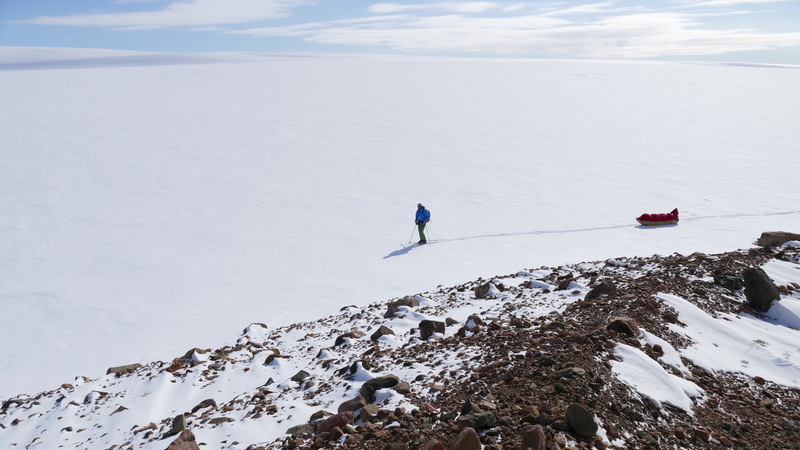 In the 2013-14 Antarctic season I guided 16-year-old Lewis Clarke on the Hercules Inlet route to the South Pole. He became the youngest ever to ski the full distance. There were so many challenges in doing this trip with a person of his age. The second would have to be skiing the entire length of Greenland, south to north, in 2016. 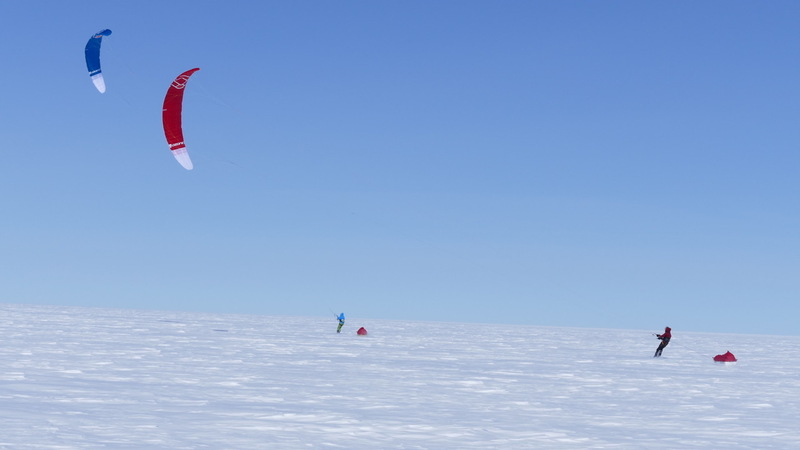 We kite-skied 2,400 kilometres in 27 days! It just went so smoothly. 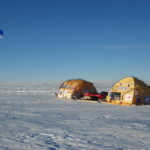 ExWeb: What do you say to those who suggest that a guided trip to the South Pole is relatively easy and diminishes the achievement, similar to Everest? When you ski to the South Pole, whether it’s guided, unguided, supported, unsupported, it is still a great achievement. Depending on which route you do, you are going to be skiing for 40 to 50 days every day, and to get yourself out of the sleeping bag and onto your skis for eight hours certainly takes some doing, both physically and mentally. 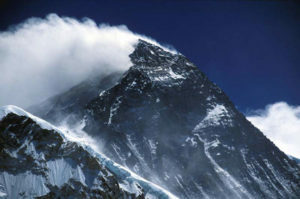 I think more people summit Everest each year than have ever skied all the way to the Pole. 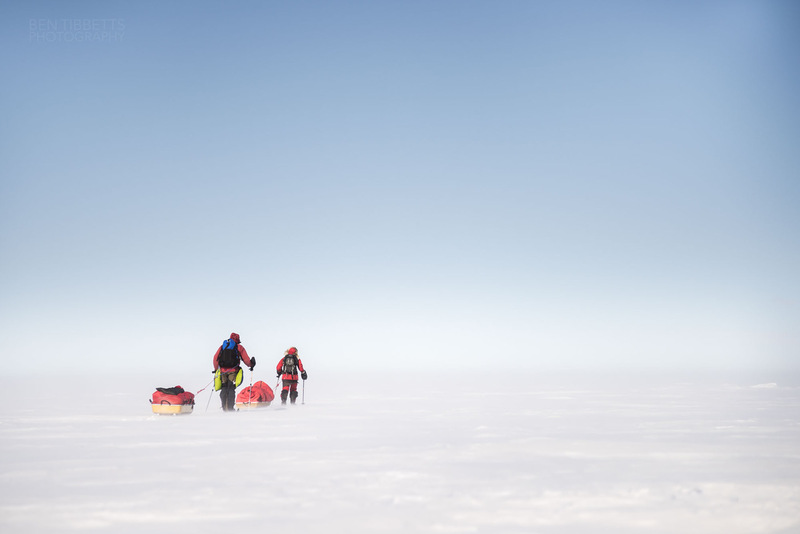 ExWeb: Where do you see polar guiding going in the next 20 years? The shorter, last-degree trips will become even more popular, since not every one can take to months off work or out of their life to do a long ski trip. I hope to see kite trips becoming more popular: This is by far my favourite way to travel. If you get it right, the distances you can travel in a short time are huge. 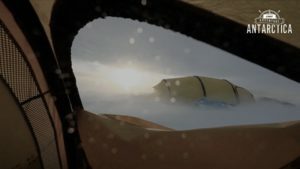 ExWeb: The hardest part of polar travel is not cold, but wind. How do you manage clients who aren’t good at looking after themselves in a wind? Training is key to managing all client skills. 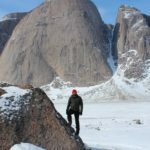 By the time people get to the Greenland icecap or on a South Pole trip, I try to ensure that they have a few weeks in the cold and wind with me or another guide. They need this to feel comfortable in the environment we are going to be traveling in. But when we’re out on the ice, it’s about keeping an eye on people and maintaining good communication. Also, I always have a spare face mask or two in my pulk, and a piece of neoprene that can be used to sew on the googles to make a mask. ExWeb: Where can readers find out more information about you?